As you pass through the gates of Stonehurst, down the winding, oak shaded road, around the cul-de-sac and up the brick paver driveway, your smile is easily noticed. 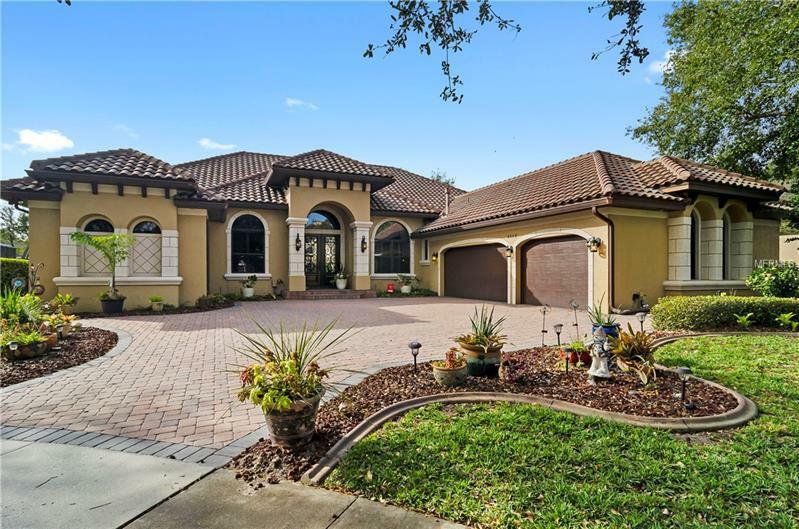 You pull in to your oversized, 3-car garage of your exquisite, custom-built, meticulously maintained home. High ceilings, rounded archways and beautiful wood floors welcome you back. As you walk through the double doors to your master bedroom, you notice the wood floors, large master bath with walk-in shower, hydro-spa tub , huge walk-in closet and the day's tensions seem to melt away. Need to work, study or just need a little alone time? Take advantage of your home office/den or walk through your master bedroom doors to your private pool and listen to the calming fountain sounds. Your family room is warm and inviting. A beautiful, custom-made, Maple entertainment center commands your attention and the envy of guests. The eyes easily flow in to your open, custom kitchen that boasts upgrades such as, granite counter tops, walk-in pantry, wet bar, custom covered range hood and refrigerator and many many more. Entertain formally in your separate dining room and living room which overlooks the pool or if casual Florida entertaining is more appropriate, enjoy your expansive screened in patio with summer kitchen, wet bar, built in grill and heated pool. Weather requires an inside move? Not a problem, a spacious bonus/game room awaits to entertain you and your guests. This is the home you were meant to have. Schedule your private showing today.